You can use the T777: Statement of employment expenses to claim employment expenses if you’re a salaried or commission employee and you paid for eligible employment expenses that were not reimbursed by your employer. If you are filing a return in Canada: Your employer will issue a T2200: Declaration of conditions of employment form indicating the expenses you were required to pay as part of your conditions of employment. If you’re a salaried employee or an employee earning commissions, you’ll need a completed Form TP-64.3-V (General Employment Conditions) to claim a deduction for motor-vehicle expenses and travel expenses, cost of supplies, expenses related to an office in the home and other expenses, and a few others. Visit the Revenu Québec website for this form. If you’re a salaried musician and you want to claim a deduction for employment expenses other than the ones related to your musical instrument, you’ll need a completed Form TP-64.3-V (General Employment Conditions). Visit the Revenu Québec website for this form. If you’re a salaried tradesperson, such as hairdresser, cook, plumber, apprentice mechanic, etc., you’ll need a completed Form TP-75.2-V (Employment Expenses of Salaried Tradespeople) to claim deductions for your eligible tools. Visit the Revenu Québec website for this form. If you’re a forestry worker, you’ll need a completed Form TP-78-V (Employment Expenses of Forestry Workers) to claim a deduction for chain-saw or brush-cutter expenses, snowmobile or all-terrain-vehicle (ATV) expenses, or motor-vehicle expenses. Visit the Revenu Québec website for this form. Note: Be sure to keep the signed form(s) for your records in case the CRA or Revenu Québec asks for them later. Note: If you’re a resident of Québec, you will also need to complete a TP-59-V: Employment expenses of salaried employees and employees who earn commissions. 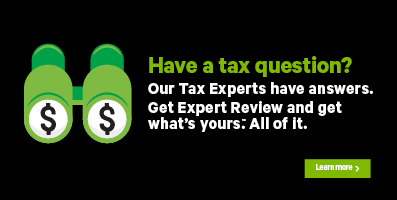 Fortunately, the T777 and TP-59 forms are combined in H&R Block's tax software. You should also consult Revenu Québec’s Deduction for employees required to pay certain expenses. When claiming expenses, be sure to hang on to any receipts or documents that support your claim in case the Canada Revenue Agency (CRA) or Revenu Québec asks to see them later. Note: You aren’t considered to have paid your own motor vehicle expenses if your employer reimburses you or you refuse a reimbursement or reasonable allowance from your employer. If your work required you to travel away from your employer's place of business and you paid for your own stay in a hotel or motel, you can deduct these amounts. Generally, you can’t deduct the cost of parking at your employer's office, such as monthly or daily parking fees or the cost of traffic infractions such as speeding tickets. These are personal costs. Supplies include stationery items, stamps, envelopes, cost of postage, toner, ink cartridges, street maps, and directories. You can deduct these expenses only if you paid for these supplies or if your employer reimbursed you for purchasing these supplies, and included these amounts in your income for the year. You can deduct a number of other expenses such as any licencing fee that you paid to do your work, salary paid to an assistant or a substitute, office rent to earn commission income, and training costs. Refer to the Canada Revenue Agency (CRA) website for a full list of other expenses that can be deducted from your employment income. You have a copy of form T2200, which has been completed and signed by your employer. Note: If you bought or sold your car in the year and used it to earn employment income, you can’t deduct the entire cost of the car from your income. Having said that, you can deduct a percentage of the vehicle’s cost, an amount known as depreciation or capital cost allowance (CCA). Check out the CCA section below for more information. If you received a reimbursement, rebate, or an allowance for any of your vehicle expenses that weren’t included in your employment income, you’ll need to report those amounts on the T777 page. Don’t include any amounts that were repayments related to leasing costs. Certain leasing costs can be deducted from your income using this chart. However, if you have repayments that are owed to you, you won’t be able to use this chart to calculate the leasing costs; instead you’ll need to contact the CRA. You can deduct interest you paid on money you borrowed to buy a motor vehicle or passenger vehicle you use to earn employment income. *Use $8.33 for passenger vehicles purchased between December 31, 1996, and January 1, 2001. In all other cases, use $10. To calculate the percentage of home office expenses you can deduct, use a reasonable basis, such as the area of the work space divided by the total finished area (including hallways, bathrooms, kitchens, etc.) of your home. Enter the amount as a percentage (e.g. If you want to express 80%, enter 80 into the software). If your office space is in a rented house or an apartment where you live, deduct the percentage of the rent as well as any maintenance costs you paid that relate to the work space. You can carry forward any unused home office expenses and claim them in the following year, as long as you’re reporting income from the same employer. You can find your unused expenses’ amount on your previous year’s T777 form. What was the Undepreciated capital cost balance at the start of 2017? – If you claimed CCA in any previous year, you’ll need to enter the undepreciated capital cost (UCC) of the property at the end of last year on the T777 page. UCC is the amount of the capital cost left for further depreciation at any given time. If you received a GST/HST rebate for a vehicle or musical instrument in 2017, you’ll need to reduce your opening UCC by the amount of the rebate. What’s the total cost of any additions you made to this vehicle or musical instrument in 2017? – This is the amount you paid for the vehicle or musical instrument including any GST/HST or provincial sales tax and costs you paid to improve the vehicle or instrument. Under the EXPENSES heading, select the checkbox labelled Employment expenses then click Continue. On the Employment expenses page, answer Yes to the question, Do you have motor vehicle expenses to claim? Return to the top of the page. Select Vehicle expenses from the green Go To Page dropdown menu. Answer Yes to the question Do you want to claim capital cost allowance for this vehicle? These expenses can include any GST and provincial sales tax (PST) or HST that you paid. If you have expenses that you can’t claim this year because of the limit, you can deduct them from artistic income you earn in a future year. Also, you can deduct amounts you carried forward from previous years from your artistic income earned in 2017, as long as the total expenses are within the above limits for the year. If you’re an employed musician, your employer might require you to provide your own musical instrument. If this is the case, you can deduct the expenses you paid related to the musical instrument. You might be able to deduct the cost of eligible tools you bought during the yearto earn employment income as a tradesperson. Be sure to get a completed and signed T2200 form from your employer certifying that the tools being claimed were bought as a condition of your employment as a tradesperson. plus the amount you received in 2017 under the Apprenticeship Incentive Grant and the Apprenticeship Completion Grant programs minus the amount of any Apprenticeship Incentive Grant and Apprenticeship Completion Grant overpayments that you had to repay in 2017. Note: If you’re an employed apprentice mechanic, refer to CRA’s Employment Expenses’ guide for information on deducting the cost of eligible tools. Note: If you’re an apprentice mechanic in Québec, refer to Revenu Québec’s guide, Employment Expenses and check out this link.